If you missed the Qualification Process, you still have a chance to participate in the Competition. On Monday 18 Feb at 11:00 visit the Participant Zone and register yourself or your team. Remember, each team should consist of 3 Competitors including 1 Captain! One person can register not only the whole team or an individual competitor but many of them (max. 30 participants). After registering you can decide about how much you want to participate in the Event. “Options” allow you to add Conference to your ticket and take advantage of the lower price of the Full Pass ticket! Mark the date, because this time the registration will last until the tickets sell out! We’re pleased with the interest from abroad! Both the Conference and the Competition will be in English. I have some questions regarding the event. 1. I missed the Qualification Process, can i registered now? 2. Is this event is remotely/online or we need to buy the ticket to Poland? 3. Is the registration fee is for whole team? 1. Yes, please register via the Participant Zone. 2. 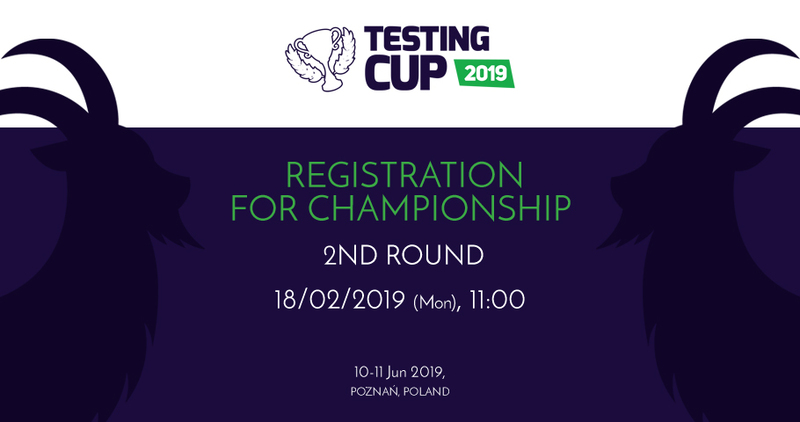 This event takes place on 10-11 June in Poznań, Poland. I am certainly interested in participating. Can i register now? You still can register for both the Competition and the Championship. To do so, please visit the Participant Zone.